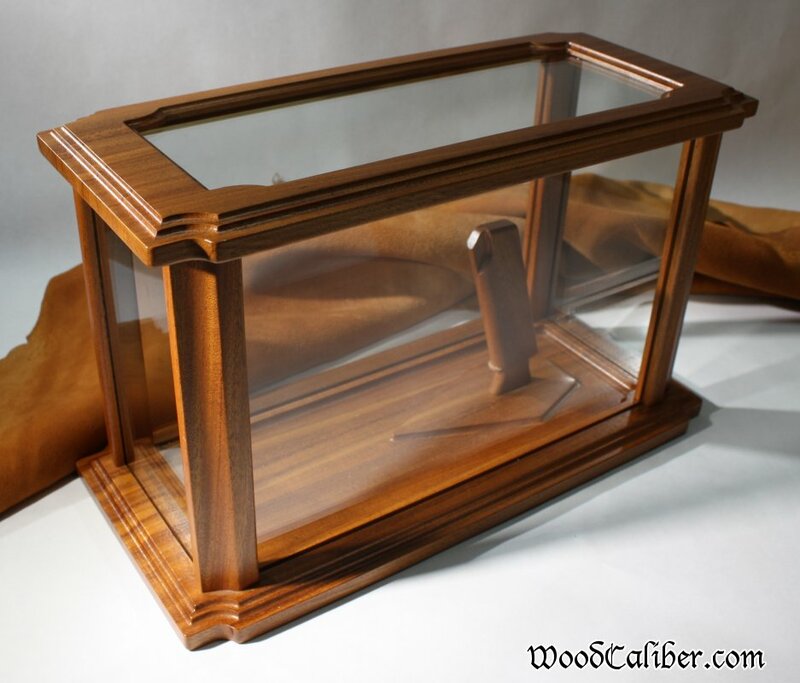 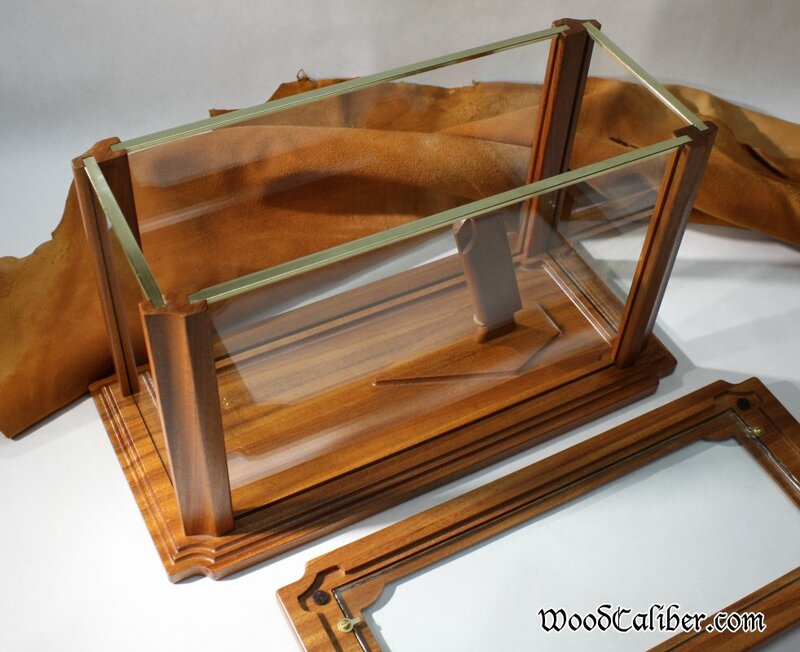 The 1911 display cases for sale come with either ribbon cut African mahogany or ribbon cutwhite oak (16"W x 7-1/2"D x 9-1/2"H). 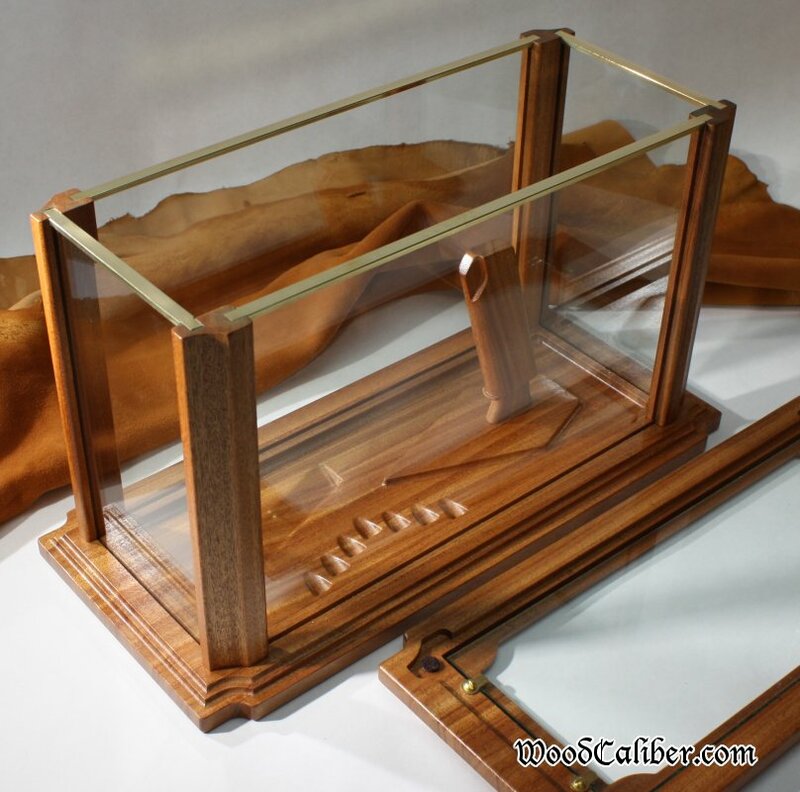 The wood grain and chatoyancy are spectacular! 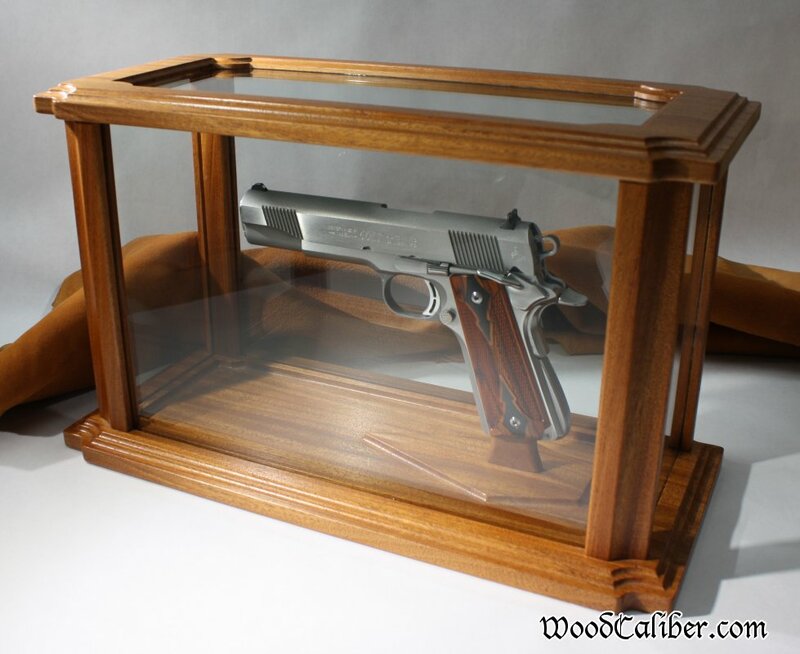 They will accept a full size 1911. 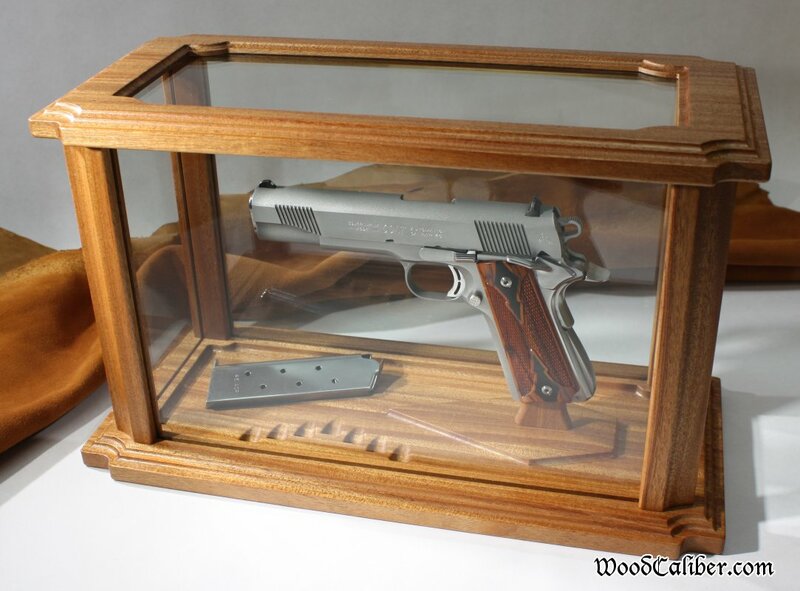 The magazine support will be solid and of the same wood species as the case. 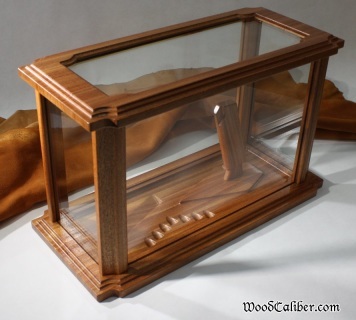 Please contact us if you are interested in ordering.